Although there are nice things about our huge, modern Borders and Barnes & Nobles, I still think my ideal bookstore is more on the lines of Elliot Bay Books. 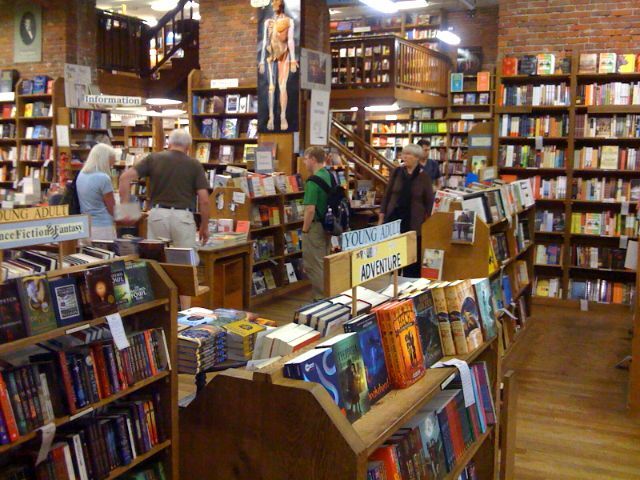 Shelf upon shelf upon shelf of books, wooden floors that squeak and creak as you walk, knowledgable staff always ready with a recommendation, and an amazing selection. When we lived in Seattle I could easily spend well over an hour just browsing around. Although I enjoy the convenience of my Kindle, I hope that places like Eliott Bay Books continue to thrive as the way we read evolves.